With 43 forest preserves, Winnebago County in northern Illinois manages around 10,500 acres of land for anyone to enjoy and explore. Learn about the Kishwaukee River Conservation Corridor, a Birdfreak project in the works! 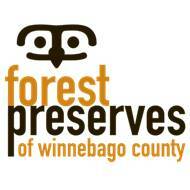 Campgrounds are available at three Winnebago County Forest Preserves: Honenegah, Seward Bluffs, and Sugar River. Each offer picturesque natural settings but can get crowded on weekends.